Eric Daniel Głowacki studied duel degrees in chemistry and history at the University of Rochester, USA, graduating with a BSc and MSc in 2009 and 2010, respectively. In Rochester, he completed his chemistry thesis work under the supervision of Ching W. Tang, working on small-molecule organic semiconductors. From 2007 to 2010, he worked at the Laboratory for Laser Energetics in Rochester on liquid crystalline optical materials. He completed his PhD in 2013 under the guidance of Serdar Sariciftci and Siegfried Bauer at the Johannes Kepler University in Linz, Austria on hydrogen-bonded semiconductors and soft electronic devices, followed by a postdoctoral stay in Linz continuing these topics. In 2015, he was appointed assistant professor of physical chemistry at Johannes Kepler University, with research focused on nanoscale organic crystalline materials for bioelectronics and photochemistry applications. 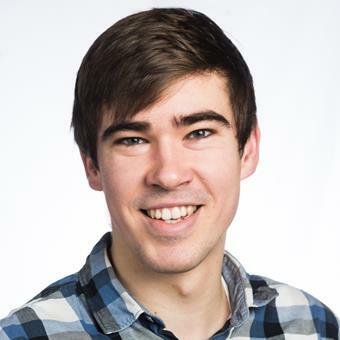 Since November 2016 he has moved his research group to Linköping University in Sweden as a Wallenberg Center for Molecular Medicine fellow, and is now based at the Laboratory of Organic Electronics, LOE, at Linköping University’s Campus Norrköping. The group focuses on synthesis and application of organic semiconducting nanocrystals in bioelectronics and electrochemical applications, and also does research in the field of porous semiconductors and novel inorganic/organic hybrid materials and devices. Aside from research activities in the group, Eric is interested in history of science and in particular the development of modern synthetic chemistry in the 19th century. Eric’s native languages are Polish and English, he is also fluent in Russian, Czech, and German, and he is now seriously learning Swedish.